Sun, sand, water -- what more could you ask for? 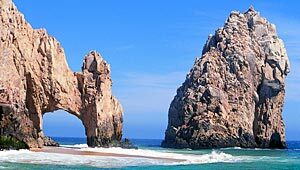 The Mexican Riviera is filled with rich experiences, fantastic locations and fun in the sun! The cliff divers in Acapulco will leave you breathless until you're ready to take a break on the powdery beaches of Puerto Vallarta. Water enthusiasts will thrive in Cabo San Lucas while those who like to shop and explore will be at home in Ixtapa and Mazatlan. Come experience the true Mexican Riviera with Princess.